Operating fundamentals continued to slowly improve in Tucson with modest decreases in vacancy, positive absorption, a small increase in rental rates and some continued decline in rental concessions. Average vacancy dropped from 9.4% to 9.3% and the average rental rate essentially held steady, averaging $635. In a continuation of a four-year trend, higher occupancies and stronger increases in rental rates occurred in submarkets with higher-grade properties. The Northwest, Catalina Foothills, and Northeast submarkets, which have the strongest demographics in the region, had the lowest submarket vacancies in Tucson. No investment sales activity occurred in the third quarter, following a very modest second quarter of just five property sales over 40 units. Sale prices averaged $55,575, or $76.99 per square foot. New construction ranged from $144,706 per unit for the Aerie at Tanque Verde to $19,500 per unit for Kelso Vista. Total market sales have been low throughout the year with little expectation that will change in the fourth quarter. 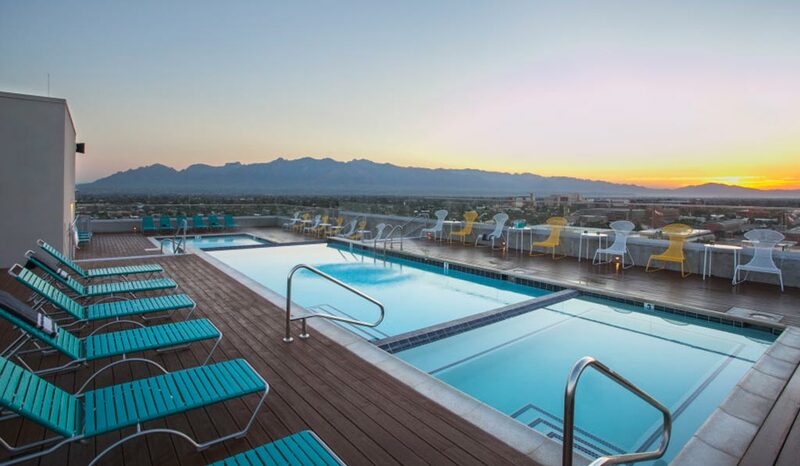 Four new student housing developments came online in August for the current school year adding new product to a rapidly changing student housing market at the University of Arizona. The new properties are The Level on Tyndall Avenue, The Retreat on 22nd Street, and Cadence North, and Cadence South on Congress Street downtown. Combined, these properties add 553 units and over 1,800 beds to the student housing market. Three properties currently under construction, the HUB and Level 2 on North Tyndall Avenue and Junction at Iron Horse near 4th Avenue and 10th Street, will add approximately 400 more units for the 2014-2015 school year. The addition of the new student housing units softened occupancy and rental rates at older properties that are not located near campus or the modern street car line. Four of the properties west of campus near West Broadway and Silverbell and Northpointe on Ist Avenue at Wetmore have vacancy rates exceeding 24.0%. Stress will increase next year with additional new properties coming to market and only moderate increases in the student population. As of fourth quarter 2013, eight properties totaling 1,569 units were under construction, and eleven properties totaling 2,448 units were planned with construction start dates on or before first quarter 2015. The new construction fills a void in A-quality product and generally is very well received by the market, with strong lease up and rental rates averaging around $1.15 per square foot. Vacancy rates for properties built since 2010 was 6.0%, well below the market-wide average of 9.3% vacancy and 9.4% for properties built in the 1980s. After decades of under-investment in multifamily, the new construction is a welcome addition to the marketplace and the community, demonstrated by the low vacancy rates among these newer developments. 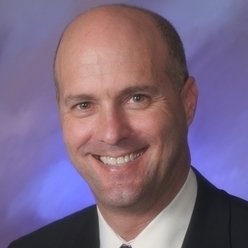 Allan Mendelsberg, a Denver native, launched his commercial real estate brokerage career in Tucson in 2004. Previously with Marcus & Millichap, Allan joined Cushman & Wakefield | PICOR to specialize in manufactured housing parks in the southwestern U.S., where he also brokers apartment complexes in greater Tucson for private investors as well as REITs.